It is against the background of failing land reform projects on one hand, and the liberalization and modernization of markets resulting in the rise of supermarkets and vertically integrated value-chains in developing countries, that several innovative “Inclusive Business Models (IBM)” have been developed and implemented as solutions not only for revitalising failing land reform projects, but also to integrate smallholder and emergent farmers into commercial value-chains. Based on diverse multi-partite institutional arrangements (between smallholder/land reform beneficiaries and private sector, often also engaging Government (CPP partnerships) and sometimes civil society), IBMs occur in various forms. This includes contract farming, outgrower schemes as well as strategic partnerships, equity share schemes, corporative shareholding structures, integrated value-chain clusters, etc. As such, several innovative ways (such as RECAP’s strategic partnerships or IDC’s cluster approach and integrated value channels) have been developed to integrate small-scale farmers into commercial agricultural value chains. It has been acknowledged that the experience of such IBMs as broader and more integrated value-chain approaches, including financial resources and linkages to downstream activities, can play an important role to ensure continuous productivity as well as market access and knowledge transfer to smallholder and emerging farms. The IBMs approach has now been recognized as a policy and planning priority; hence the need to provide guidance to the key economic players in agriculture to exploit the potential of these institutions/instruments. Nevertheless, limited research has been done into the several partnership structures and their impact on the local community. It is thus important to determine the suitability and the criteria for success of these IBMs as an institutional vehicle for linking farmers to agribusiness supply chains, and subsequently overcome the obstacles that have constrained them to develop in more sustainable commercial farming enterprises. 3) To focus on the lessons that can be learned from the experiences in the different IDM models, leading to recommendations to the different public and private stakeholders. 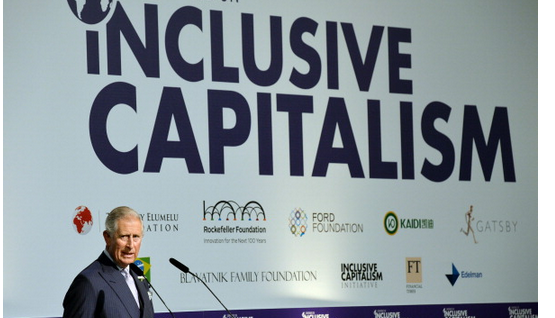 Land Matrix initiative Social investments: The kind-hearted soul of capitalism?